Since November 2016 Dr Ben Howitt BVSc MRCVS has worked closely with the team at the GSPCA to help care for the thousands of animals through the doors every year. When Ben joined the team at Isabelle Vets it wasn’t long before each week he would attend the GSPCA for the main vet check days and very quickly a wonderful relationship was established. Ben with his friendly, helpful and caring nature was a fantastic help not only to the many sick and injured animals, but also to the GSPCA team. Isabelle Vets recently announced the winner of the Isabelle Vets Pet Hero competition which was Catrina the tabby cat, as voted for by the general public. All of the nominated finalists were ‘Heros’ in their own right, with over five hundred people voting for their chosen hero in a closely-run competition. On a small Island such as Guernsey, this truly shows the kindness and enthusiasm of people, in taking the time to recognise the bravery of all of these stoic pets. On the 15th February 2012 Sarah Ozanne joined the team at the GSPCA as a volunteer dog walker and started helping at the Animal Shelter in many of the departments. 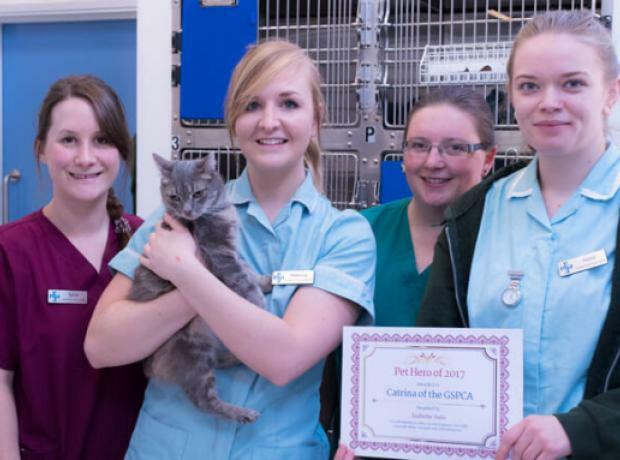 Her interest in the work at the Shelter quickly grew and after applying for a full time post at the GSPCA she started her career in December of the same year. 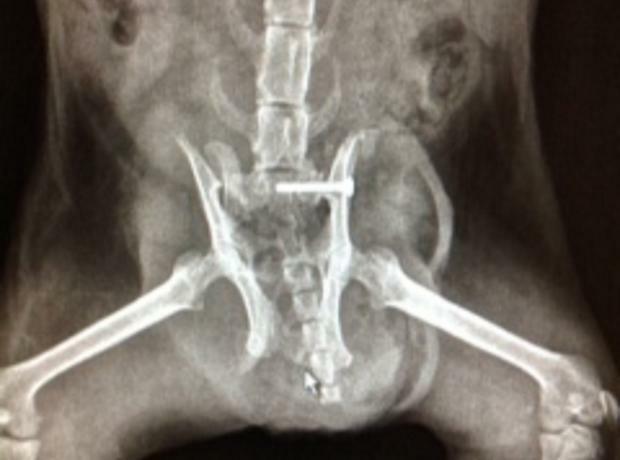 We are pleased to report that Catrina the cat continues to improve although she is still under the care of the vets. Sadly as no owner has come forward for Catrina in the 21 days required under Guernsey law. The job we have now at the GSPCA with the help of Isabelle Vets is to get her well and strong enough to find her a home. We are pleased to report that Catrina the stray cat that was found at L'Islet after a road traffic accident nearly two weeks ago has had her operation yesterday at Isabelle Vets. We are extremely grateful to all that have donated and an amazing £600 has been raised to date and thank you to all that are helping Catrina and of course her many friends at the GSPCA. 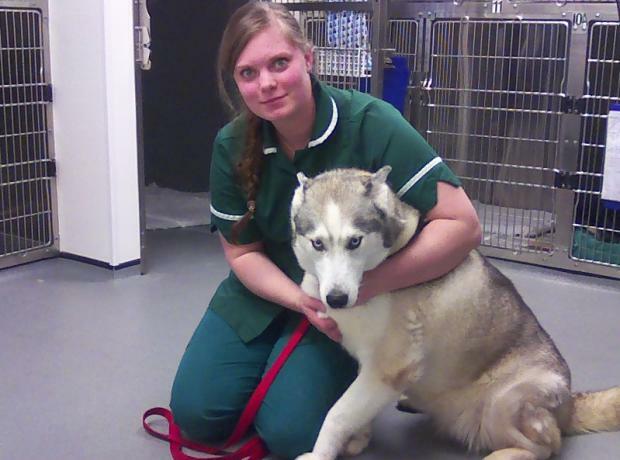 Yesterday Inca the husky helped save a life, can you help her find a home? Yesterday Inca the husky at the GSPCA in Guernsey popped along to Isabelle Vets for a very important donation. The GSPCA are always looking at raising funds for the 1000's of animals we help and rescue every year and yesterday one of the dogs had her chance to give something back.